I know it’s hard to believe, considering how much I hate early mornings, but by the time this post goes live – 6:00 am – Teacher and I will have been up for two hours and on the highway for over an hour. Because we’re on our way to the 2013 WECA (Wisconsin Early Childhood Association) Conference! Yes, I am jumping up and down in my seat from excitement… And from too much caffeine… And because I need to find the Little Girls’ Room… Teacher, can you take that next exit, pretty please? 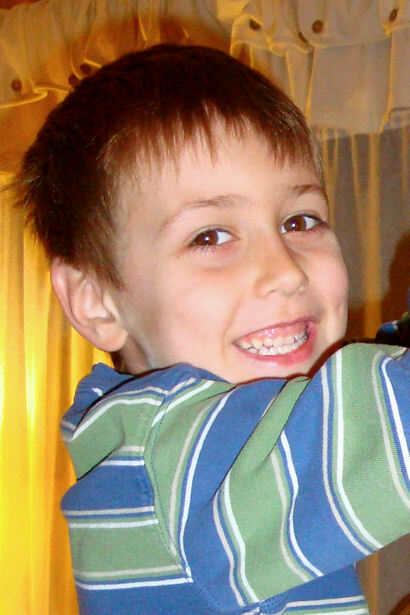 I’ve attended the WECA Conference every year since 2000, except when Z-Man and Little Guy were little and still nursing. Every year it’s SO much fun and I get SO many great ideas that I can’t wait to go again the next year. In the past I’ve always gone with a group of friends – which is a total blast – but last year none of them could go so Teacher went with me instead. He didn’t actually attend the conference with me; he hung out in the hotel room grading papers, writing lesson plans, and doing other teacher-y activities while I was gone. We had breakfast together, met for lunch, and went out for dinner and window shopping, so it was almost like a romantic weekend away. We enjoyed our time together so much that we decided to do it that way again this year! We’ve got least another hour and a half of driving still ahead of us, but I’ve posted some random photos from last year’s conference to entertain you until I can get photos from this year’s conference posted. I promise it won’t take me a year to get them up this time. Pinkie swear! Teacher found an organic grocery store with a little deli about 5 minutes away from the conference site. We had lunch there both days and spent some time browsing the aisles of the grocery store too. 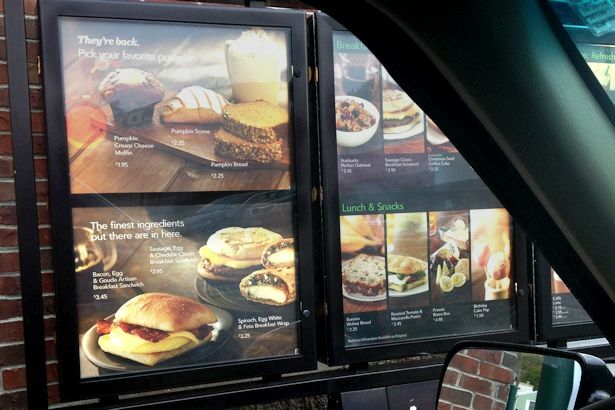 It was so nice to be able to pick anything off the menu and not have to worry about whether it had hydrogenated fats, high fructose corn syrup, or other nastiness in it. 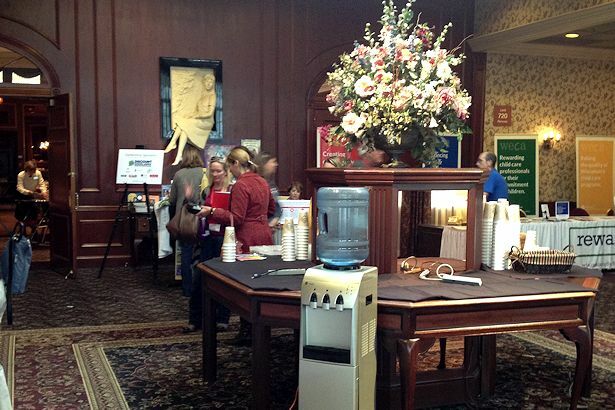 There was a welcoming table set up near the entrance to the conference area with complimentary coffee, tea, and water available. A very nice touch, but for me it didn’t make up for the lack of a Starbucks or other coffee shop on the premises. 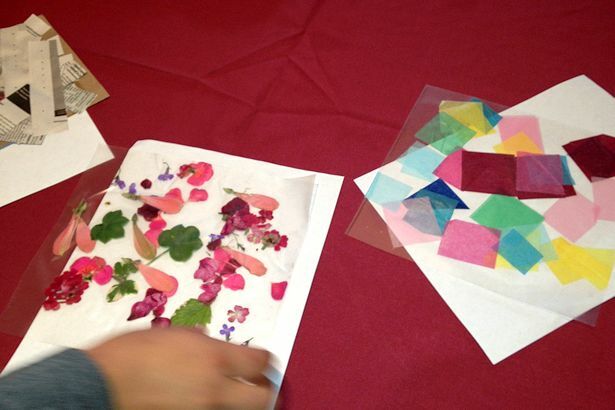 All of the workshops I attended were fantastic; especially the one on Process Art. The first half the time was a presentation, then the second half we got to try out a bunch of process art experiences. I took photos of my favorites, like this one: “Stick Stuff on Paper” – contact paper with natural items and tissue paper squares stuck on. Disclaimer: I’m totally making up names for these activities. If the presenter had names I sure don’t remember them anymore. 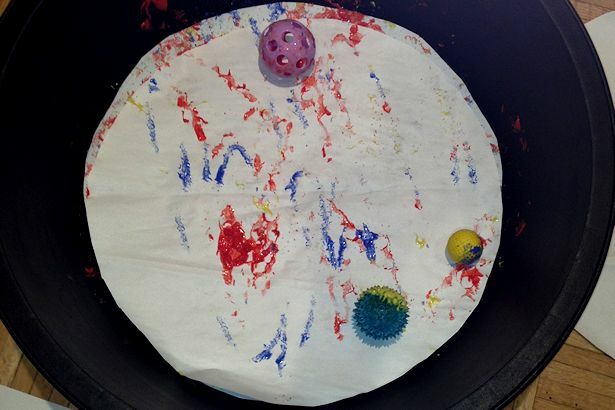 Another cool idea was “Oversize Marble Painting” using big sheets of paper, big round tubs and balls instead of marbles. Fun! 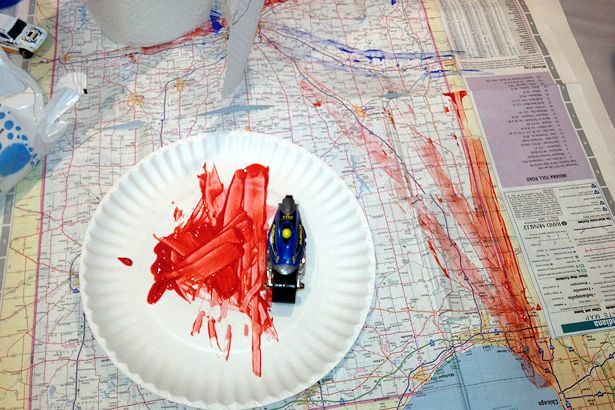 “Painting with Cars” by rolling them through paint then onto paper or old maps was another great idea – perfect for transportation themes, if you do themes. 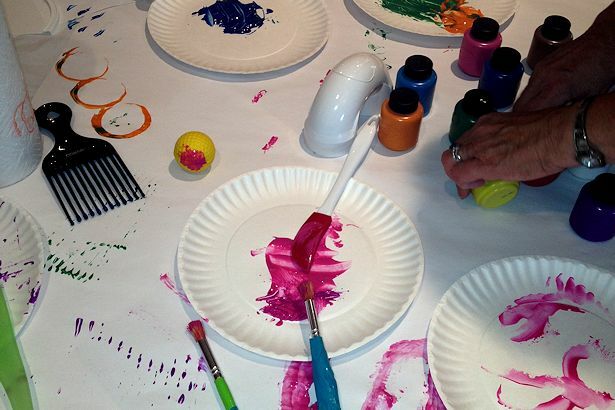 One of the most popular tables was “Painting with Weird Stuff” like combs, pieces of PVC plumbing, golf balls, etc. You can do this with pretty much anything! The Exhibitor’s Hall is always one of my favorite things about the Conference. Most of the exhibitors bring stuff to sell, often at a discount, but this year there were several areas set up for us to explore. 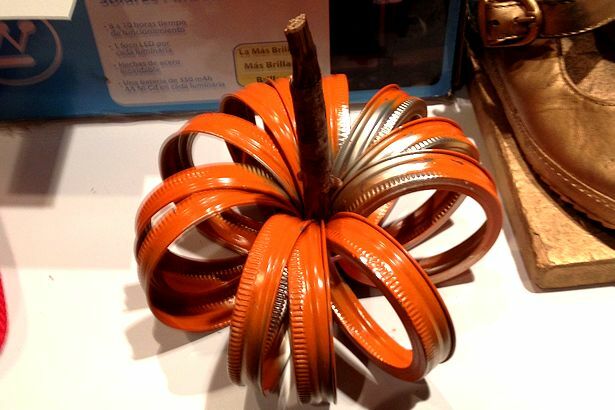 This year a whole corner displayed ways to use recycled and repurposed items in early childhood programs, like this adorable pumpkin. 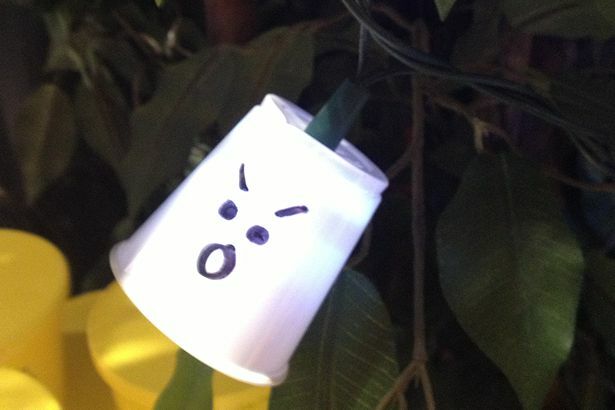 Draw faces on plastic cups with a Sharpie then cut a hole in the bottom and hang them on Christmas tree lights for a string of ghost lights. Z-Man and Little Guy would totally love these in their bedroom! The label says it all. 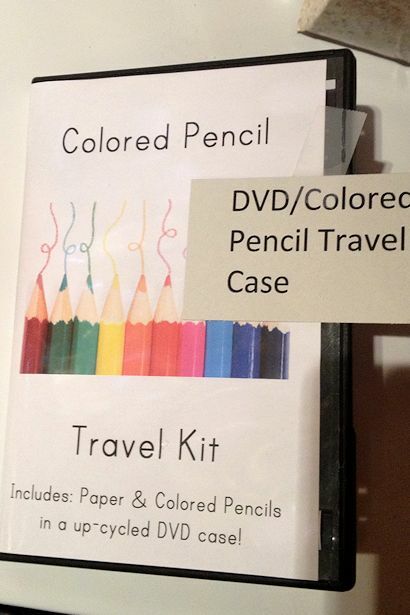 Colored pencils are perfect for traveling because they don’t melt like crayons do if the car gets hot, and they don’t dry out or leave marks all over everything like markers do when the covers aren’t put back on. 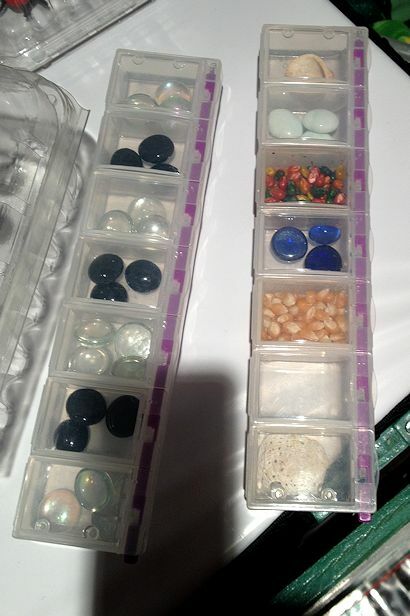 Clear pill boxes for sorting or for small art supplies. 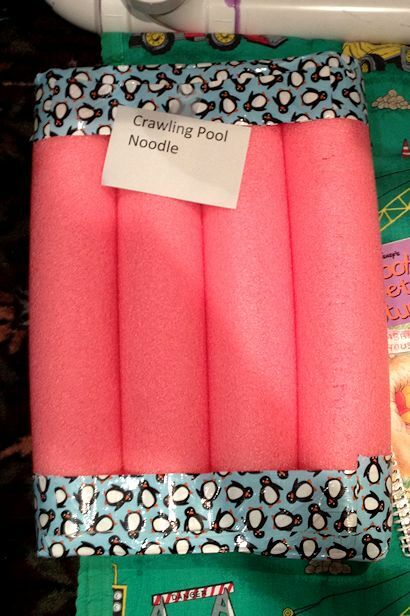 I thought this idea was brilliant… Cut a pool noodle or two into equal lengths, lay them next to each other, then use duct tape to tape them together at the ends. Great for infants to practice crawling over! 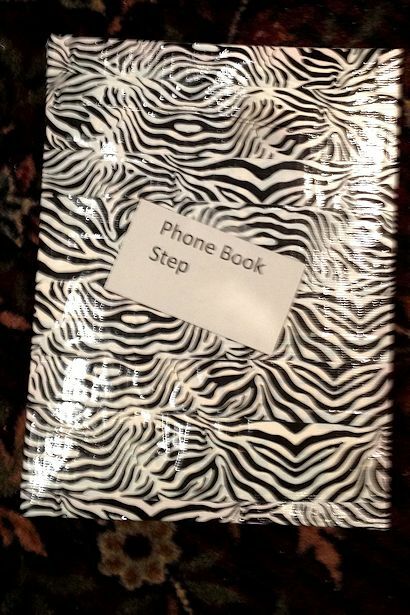 Another brilliant idea – cover an old phone book with duct tape and use it as a small step. How cool is that?! 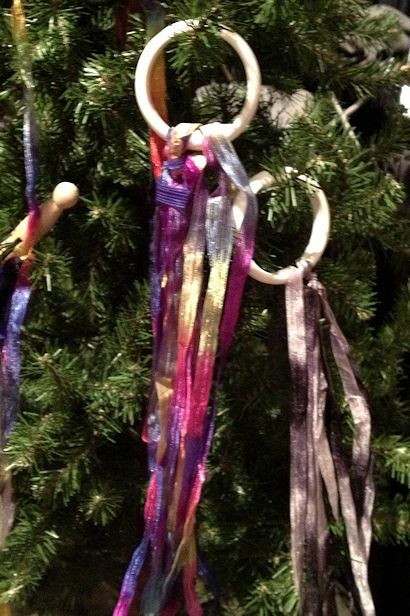 Obviously self-explanatory; simply tie ribbons onto a wood ring. So beautiful! 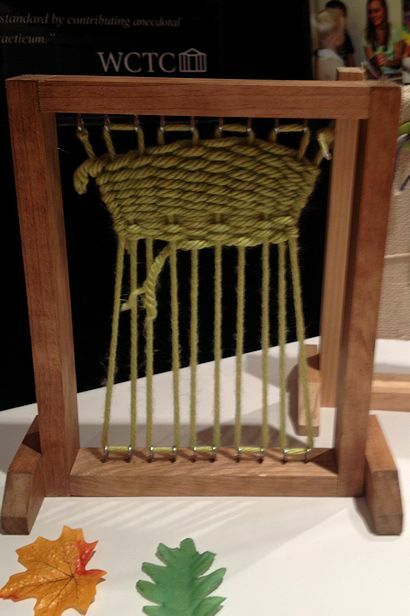 This little loom is cute, seems easy to make, and is so pretty. 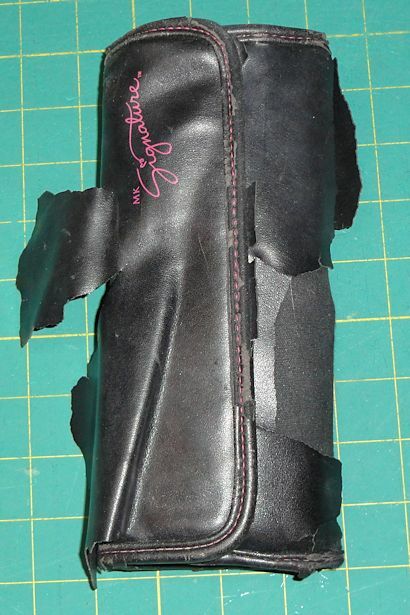 I think I’ve got another project for Teacher’s Dad! Lucky for me he likes woodworking projects. 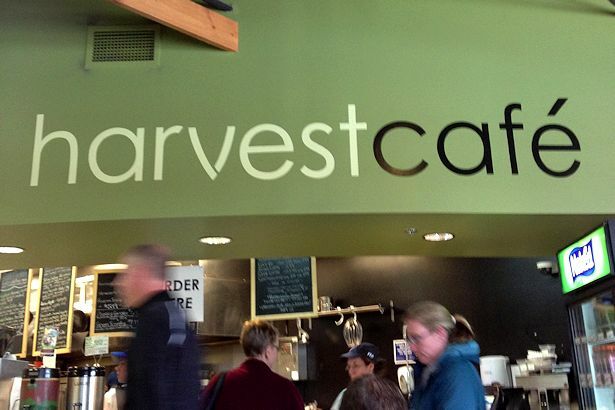 Can you guess where we had breakfast each day? Of course Starbucks – you’re so smart! The only thing I didn’t like about last year’s conference venue is that there wasn’t a coffee shop on the premises and the nearest Starbucks was a 10 minute drive away so we had to get up half an hour early each morning to get breakfast. But not this year – the Kalahari has a Starbucks not too far away from the conference area, so I can get my caffeine fix whenever I want! 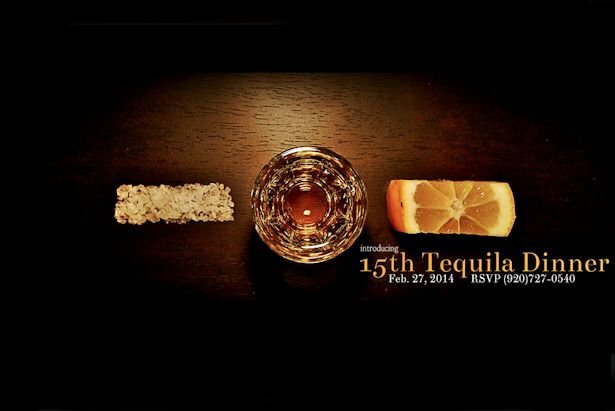 Have I mentioned that I can’t wait to get there?